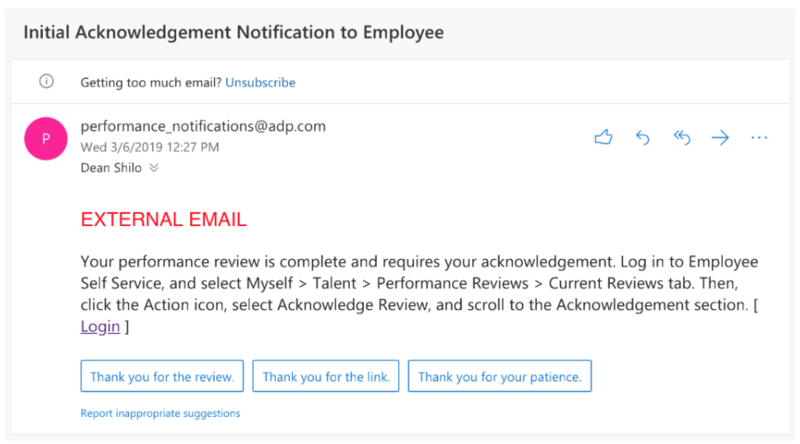 After every performance review meeting, you should expect to receive a notification via ADP that you have a written performance review to acknowledge. If you did not receive this review notification, please contact Chris Koslowski (ckoslowski@tslmarketing.com). 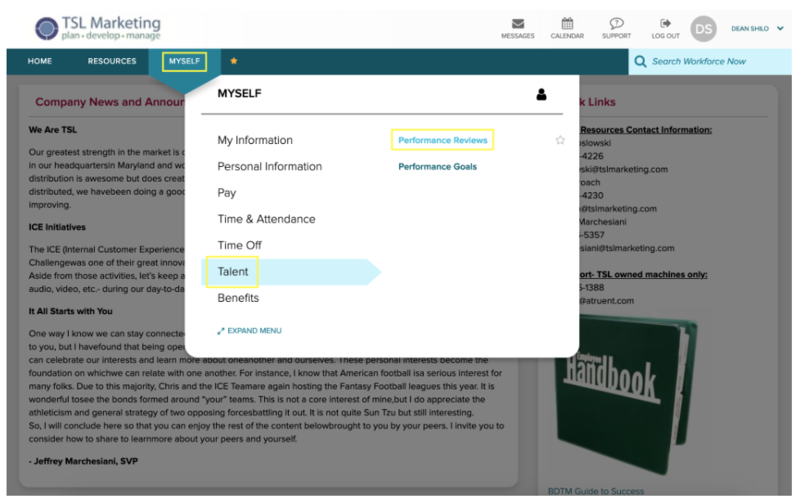 You must acknowledge all ADP reviews following the process below. If you have not done so, your manager or Chris K. will follow up with you to ensure the full review process is completed by all parties. 6. Under "Current Reviews" find your most recent review with status "Pending Acknowledgement"